Hyderabad, March 09: Tollywood Superstar Mahesh Babu seems to be calculative and picky avoiding any hasty decision that might put a dent in his career. Post Bharat Ane Nenu, Mahesh is filming for Vamsi Paidipally's Maharshi. Of late, Mahesh had called off his next with Sukumar due to creative difference. 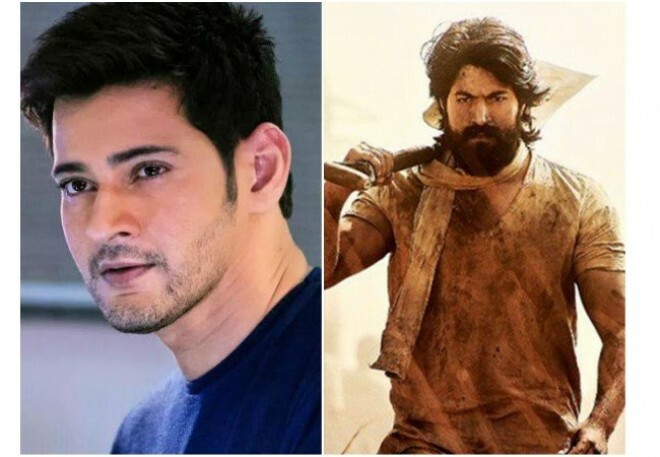 And the last buzz is that Mahesh might collaborate with KGF director Prashanth Neel. According to reports, KGF filmmaker met Namrata Shirodkar and narrated storyline that would suit Mahesh. It is learnt that the script has a pan-Indian appeal asking to KGF and would work well for Mahesh. If things will fall in place, then the film would be bankrolled by Mahesh GMB entertainments. Talking about KGF: chapter 1 that starred Yash was released last Christmas in 2018. Made in Kannada the film was dubbed in other languages including Hindi as well. Notable, Shah Rukh Khan's Zero had released that time, however, it was KGF that beat Zero and went on to be a major crowd puller among Hindi audience as well. The filmmaker is currently working on KGF chapter 2. Keep reading this space for more updates.